Many buyers want to buy a home but if you haven’t planned properly you may find yourself among the ones not able to. In today’s article 7 Important Things When Buying a Home we’ll discuss the items necessary to be prepare for so you’re ready to purchase. Most people want to achieve the American dream of home ownership one day but in order to do that you must prepare yourself financially. The tips in today’s article will assist you in accomplishing this task. 1). The very first step in preparing to buy a home is hiring a real estate agent. Regardless whether you’re buying a home around the corner from your current home or in another state it’s important to hire an agent this is proficient in the local market and knows the area you’re planning to buy in well. Your agent will become your best resource in the entire purchasing process. An experienced agent will also have connections to great lenders that can also assist you in getting approved for a home loan. Hire an agent with great credentials, you can locate a great agent by searching on Yelp!, Zillow or Realtor.com, these resources allow you to see testimonials from past clients to ensure you’re choosing one that will serve you properly. Feel free to also contact us and we can use our referral sources to help you find an agent in areas we don’t service. One great thing about hiring an agent as a buyer is that it’s free and won’t cost you a thing. With that being said it’s important to choose an agent wisely and not just out of convenience. Never just hire an agent because it’s easy, some buyers have chosen to use an agent just because they’re a family member and have a real estate license or even worse by using the listing agent. Would you ever consider hiring the same attorney to represent you that represents an opposing side? Sounds crazy right, don’t ever hire the listing agent to represent you as a buyer. Select an agent that has the knowledge and experience to protect you and only you through the real estate transaction, using an agent to represent both sides is not a good idea. 2). The next step is getting pre-qualified with a reputable lender. Now that you know how important hiring a good agent is to represent you and your interests let’s talk about the importance to hire a good lender. As you know there are plenty of agents and lenders available to assist you but it’s important to acquire a team of professionals that are experienced, knowledgeable and have a proven track record of success to assist you. The combination of a good realtor and lender team will make your buying experience a pleasant one whereas an inexperienced team will likely not be able to anticipate issues in advance and therefore not protect you and your financial interests. We’ve established a team of professionals that have successfully closed thousands of transactions, we have the proven experience to assist our clients in accomplishing their real estate goals thoroughly, efficiently and effectively. Congratulations, by this point you’ve completed the two most important items by hiring an agent and getting in touch with a lender. The next couple steps like pulling your credit, establishing your DTI (debt-to-income) ratios and discussing the amount and source of your down payment will be completed with the assistance of your lender to start the approval process to get you approved for a home loan. 3). What you can expect during the loan qualification and approval process. Your lender will start the approval process by running your credit to get your FICO (credit) scores. Once your credit has been run and credit scores obtained the lender will then begin gathering information from you like copies of your tax returns, bank statements, proof of income, verification of employment and other financial related items. Additionally, you and the lender will establish your down payment and monthly payment budget. Once all qualification paperwork has been obtained by the lender it will then be sent to an underwriter for your pre-approval, once approved then the real fun begins! 4). Let’s go home shopping. This and the next step is where using an experienced Realtor will really pay-off. With your home loan pre-approved you’re now ready to begin the home shopping process. Next step is to discuss what you’re looking for in your dream home with your agent so your agent can start the home search process. Agents selecting to adapt and use technology in their home search process like the agents at Tholco will enable their clients to receive the most up to date listings via email in real-time as they hit the market. You can also setup your own property search on homes for sale in the Conejo Valley like Thousand Oaks, Newbury Park, Westlake Village, Moorpark, Simi Valley and even in Bakersfield CA and the surrounding areas. Once your agent has added you to the auto prospecting system you’ll start receiving homes that match what you’re looking for. As the new listings come into your email carefully review them and reach out to your agent to request a personal tour on the ones you’re interested in personally viewing. Once you find the perfect home you’ll want to discuss making an offer with your agent. When you’re ready to make an offer on a home, request your experienced agent like Jason Thoele at Tholco Real Estate Group to pull some comparable properties so you know what the fair market value is. Once you have this information you’ll be able to make an accurate offer on the property you’re interested in. You definitely don’t want to pay more for a property than what it is worth but equally as bad is making an offer to low that insults the seller and then they just reject your offer without a counter offer. After some potential back and forth negotiations with a seller we’ll assume your offer is approved. Now the listing agent will open escrow which will start the escrow process and buyer inspection process. 5). Escrow has been opened and your inspection timelines begin. Now that you’ve found the perfect home and got your offer accepted another congratulations is definitely in order. This is where we as your professional, experienced agents will really go to work. During the escrow process several things happen like your lender completing the final loan approval, buyer completing inspections and escrow and title completing their file and processing. All the while we as your agent will manage the process thoroughly and keep you updated along the way. The escrow timelines negotiated and agreed to on the Residential Purchase Agreement will determine what length of time you as the buyer will have for your contingency timelines. By default, there are three contingency timelines; inspection which is 17 days, appraisal which is also 17 days and lastly the loan which is 21 days unless further restricted via previous negotiation between buyer and seller. Buyers inspections are very important and it’s not an area any buyer should pass on. In our article Is Waiving a Home Inspection Risky we’ll describe why it’s important not to waive your inspections. Most buyers will complete the standard inspections which are a Wood Destroying Organism, Home Inspection and Roof Inspection. Of course if the property your buying has a pool or other specialty item then those additional inspections are recommended as well. It’s easy to see the big issues but having a proper home inspection will also bring light to the small ones so you can really be susre of what you’re buying. If any issues are found during your inspections we’ll prepare a repair request and ask the seller to fix the items considered to be health and safety concerns. In our article, Negotiating Repairs After Your Home Inspection we’ll discuss more on the repair negotiation process. Finally, all inspections are completed, repairs have been negotiated and completed and your lender has completed final loan approval. Upon receiving final loan approval, you’ll sign loan documents in preparation for closing and are ready to close escrow. After your loan docs are signed and you’ve brought your down payment money into escrow then the lender will authorize funding. The funds the lender wires to escrow (your loan amount) in addition to your down payment will balance everything based on your purchase price. Once funds are received at escrow then the escrow officer will release for recording, this process is the final step. Once escrow receives confirmation of recording of title then the home is officially yours and it’s time to really celebrate. At this point your agent will be notified by escrow of the successful recording and your agent will then reach out to you to make arrangements for keys to be given to you. 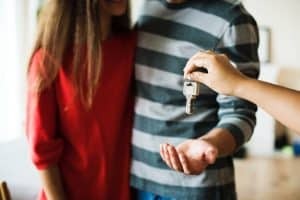 For more information on this article, 7 Important Things When Buying a Home please feel free to contact us or leave a comment below.